Fernando Alonso says McLaren feared it would struggle at Formula 1's Bahrain Grand Prix even before track action got underway. A lacklustre showing in qualifying at the Sakhir F1 circuit, with neither the Spaniard nor team-mate Stoffel Vandoorne making it through to Q3, has left the team searching for answers for such a poor performance. But while racing director Eric Boullier said he was 'astonished' at events on Saturday - which included McLaren being outqualified by the Honda-powered Toro Rossos - Alonso said he was not shocked by what happened. "The nature of the circuit is far from ideal for our car," said Alonso, who starts from 13th on the grid and said the new parts on the MCL33 for this race "work fine". "We came here looking at last year's performance and it was not great. "It was one of the worst performances for us last year and unfortunately we saw again today that this is a circuit that we don't have into our hands yet in terms of approach or set-up. "It is something we need to keep analysing." Pushed on where he felt McLaren was lacking, Alonso said: "Probably a little bit everywhere. We are not the strongest on the top speed. Braking performance was also not great today. Traction. We struggled a little bit too much today." 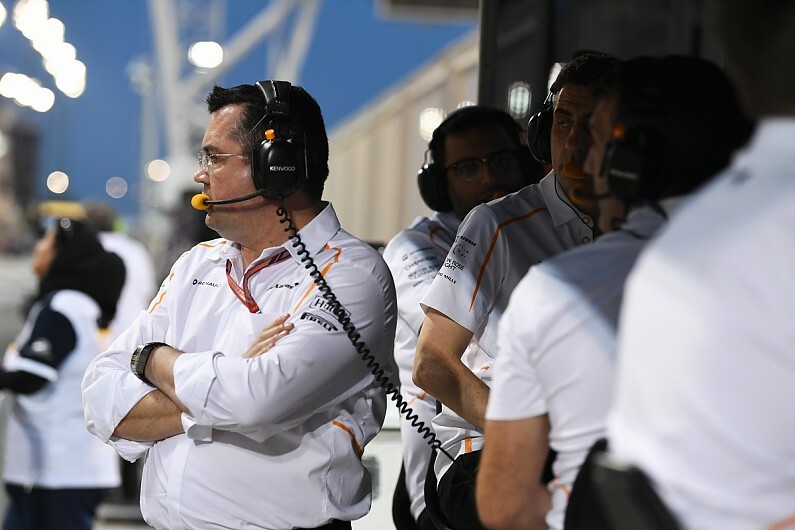 Boullier skipped the team's usual post-qualifying media commitment to attend a debrief as the team kicked off its inquest into the bad performance.